Caught bait early and picked clients up before 7 . Went to where I fished yesterday and had so many strikes and set out my spread of 10 boards and a Bobber. Went a couple hundred yards without a strike and knew the fish had moved or were turned off. 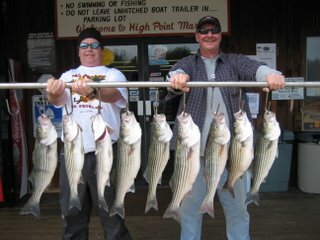 We hit a point and had 4 hits but only put one in the boat and the fish were only hitting the bait in the tail. We moved over to a bank where the wind had been blowing onto for 2 days and I put the baits right up on the bank and started catching fish. Only the boards that were nearest the bank would get hit. We had 23 Strikes before the fish turned off, due to all the boat traffic. Must have been 20 boats go by. Anyway, the wind picked up at noon and the fish would not feed anymore. 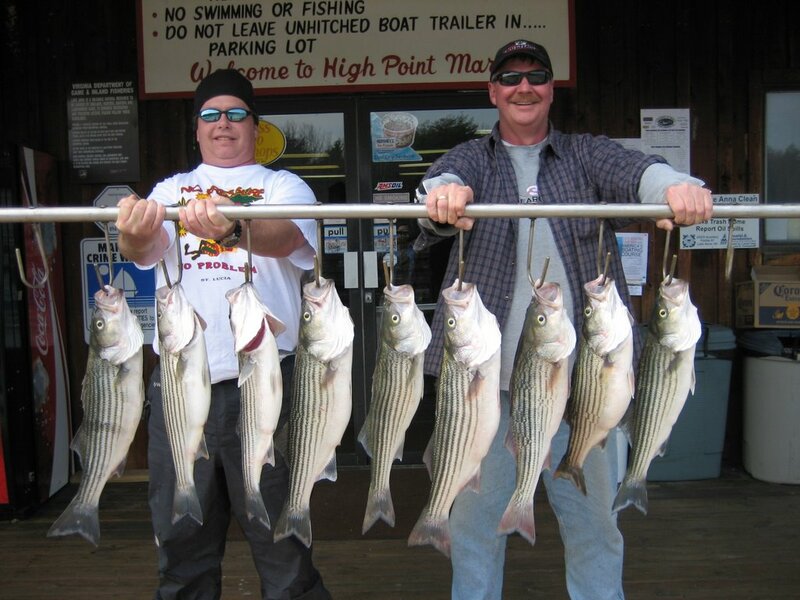 We ended up the morning with 11 Stripers and 3 Catfish.